I personally think it's become a little bit ridiculous to be honest. 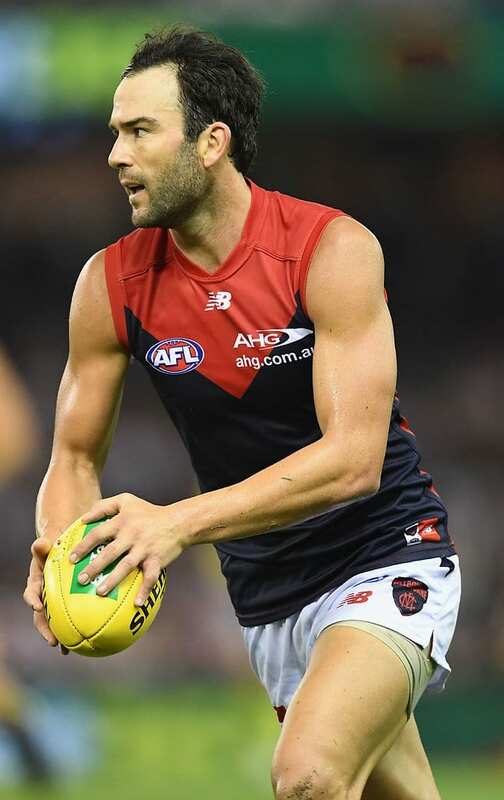 THE DELIBERATE out of bounds interpretation is bordering on "ridiculous" and it should be reviewed immediately, experienced Melbourne midfielder Jordan Lewis says. The ruling, which the AFL tightened at the beginning of the season, has caused plenty of conjecture as players are being penalised more harshly than ever before. The four-time premiership Hawk said the stricter ruling had created more problems than solutions. "I personally think it's become a little bit ridiculous to be honest," Lewis said on Wednesday. "It needs to be looked at because sometimes players don't have any other options." Both Jake Stringer and Tom Boyd were penalised for deliberate out of bounds in the Greater Western Sydney-Western Bulldogs game at Manuka Oval on Friday night. Boyd's kick out of defence bounced at an unusual angle across the boundary line, while fellow Bulldog Stringer was pushed as he kicked the ball towards the wing from the centre square. Lewis said the ruling had become too unpredictable. "You look at the Jake Stringer one, you look at the Tom Boyd one," he said. "The ball has literally bounced at right angles and we're playing with an oval ball that can bounce wherever – it's not predictable. "So I think it certainly needs to be looked at. "I sit at home as a viewer of the game and I get frustrated. "I'm sure there's others out there like that and I don't support the last touch out of bounds is a free kick either." The deliberate out of bounds rule is expected to discussed when the AFL's Laws of the Game Committee meets on Thursday. AFL football operations manager Simon Lethlean said on AFL Exchange last week ahead of round six he thought understanding of the new rules, which also includes the tightening of the deliberate rushed behind rule and a new interpretation of head-high tackles, was improving each week. "The holding the ball (call) is the hardest. I think the deliberate out of bounds and rushed behinds are starting to take shape. Everyone realises it is going to be harshly interpreted and it is having the right effect keeping the ball in," Lethlean told AFL.com.au. Meanwhile, Lewis said Melbourne spearhead Jesse Hogan is in "good spirits" but no guarantee to play this weekend following the death of his father. The 22-year-old has returned to training, a week after his father Tony died following a long illness battle. Lewis is set to play against his former team Hawthorn at the MCG on Sunday. The match-up against his former teammates has obvious intrigue. However, the annual Pink Lady match will hold special significance for Lewis given his wife's grandmother died due to breast cancer. Football fans are encouraged to help turn the MCG pink on Sunday, as both teams support the Breast Cancer Network Australia. "My wife's grandmothers on both sides passed away because of breast cancer, so it's something that's close to me and close to my family," Lewis said.